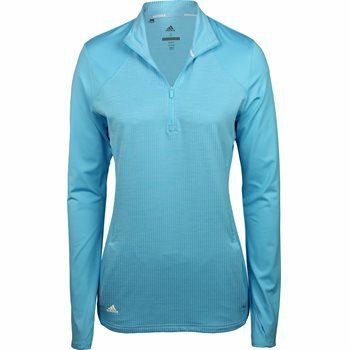 When it’s chilly on the links, the Adidas Half Zip Knit Pullover jacket is your go to. It features thumbholes on the sleeves and a stand-up collar for extra coverage. You can move freely with four-way stretch fabric that provides a comfortable fit for all day wear. The half-zip placket provides closure adjustability and the tonal jacquard details give it a touch of casual flair.